CareerCast.com’s Veterans Network has released this year’s Great Jobs for Military Veterans in 2016, based on U.S. Department of Labor Statistics and VA reports. 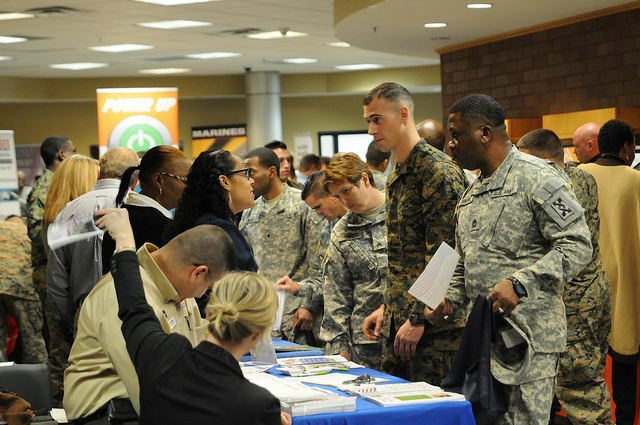 Although the job market has improved overall in the United States, CareerCast credits new programs by government agencies such as the USDA, nonprofit organizations like Hiring Our Heroes, and initiatives like the White House’s Joining Forces Program with decreasing the veteran unemployment rate. Read below for a description from CareerCast and median starting salary for each career from payscale.com. If you see something you like or want to look at other options, you can go to CareerCast.com right now to star your job search! Chris Fox is a Project Coordinator at USC’s Sol Price School of Public Policy, where he recently graduated with an MPA. Prior to that, he was a research fellow at the DHS Center for Risk and Economic Analysis of Terrorism Events (CREATE), where his focus was on homegrown violent extremism. He also holds a BA in Psychology and an AAS in Information Systems Management. Chris served for seven years as a TACP, is a veteran of the wars in Iraq and Afghanistan, and continues to serve as a JTAC Instructor in the Texas Air National Guard.